Anna Mazurik is a film and theatre artist born and raised in Saskatoon, Saskatchewan. She holds a B.F.A. in Acting from the University of Saskatchewan and is a graduate of the Globe Theatre Actor Training Conservatory. In both theatre and film, Anna pursues work that asks challenging questions of both the audience and of the form, and in particular, work that celebrates diversity and provides a voice for those who are too often silenced. Film credits include: Instruments of Evil, SaskatcheWHAT? (EYECATCHER Video); Goblin Market: The Lucy Diaries (P.C.P. Productions). Theatre credits include: Richard III, Twelfth Night (Shakespeare on the Saskatchewan), Les Liaisons Dangereuses (Theatre Naught/Live Five), Displaced (Ground Cover Theatre/Live Five/Shumiatcher Sandbox Series), Peter and the Starcatcher (Globe Theatre). Upcoming: Dominion (Gordon Tootoosis Nīkānīwin Theatre), and Naked Tourist, Sacred Mountain (Dumb Ax Productions/Live Five). Anna Seibel is a Canadian actress based in Saskatoon, Saskatchewan. She holds a B.F.A. in Acting from the University of Saskatchewan, is a graduate of the Globe Theatre Actor Conservatory, and a recipient of the Walter Mills Award in Drama. Anna is also an emerging playwright. Her short play Commodius premiered at the Tightrope Festival in 2015. Film credits include Patient 62. Theatre credits include: Vanya and Sonia and Masha and Spike, Hedda Gabler, Strawberries In January (Persephone Theatre); Two Corpses Go Dancing (Live Five/Two Unruly Gentlemen); Romeo and Juliet, The Taming of the Shrew, Macbeth, The Comedy of Errors (Shakespeare on the Saskatchewan); Chickens (Station Arts); Into the Woods, All My Sons, Amadeus, The Crucible (Greystone Theatre). Upcoming credits: The Last Wife (Globe Theatre); Les Liaisons Dangereuse (Live Five/Theatre Naught); A Syrian Story (Sum Theatre). Check her out on Instagram for whimsy and play @feefiefofana. Michael has been involved in theatre for over 35 years as an actor, director and producer. Although he has worked professionally, his love of the art is more about the enjoyment of performing than the paycheck. Presently in his hometown of Saskatoon Saskatchewan, he has started a community theatre to help other up and comers learn the trade or for other experienced actors to hone their skills. Working in film is a relatively new medium for Michael, and although the time on The Tinwife was a short one, it certainly was filled with a new understanding of the amount of hard work that's required to bring it all together. Nathan Pylypuk is a Regina-based actor, musician and writer. Past theatre credits include Romeo and Juliet, Living in the Spaces, Much Ado About Nothing (Globe Theatre); Rock of Ages, The Rocky Horror Show (Sterling Productions); The Wizard of Oz: The Panto (Diversified Productions); Chickens (Station Arts Centre). He is a graduate of the 2014 Globe Theatre Conservatory and received his Bachelor of Arts in English from the University of Saskatchewan. 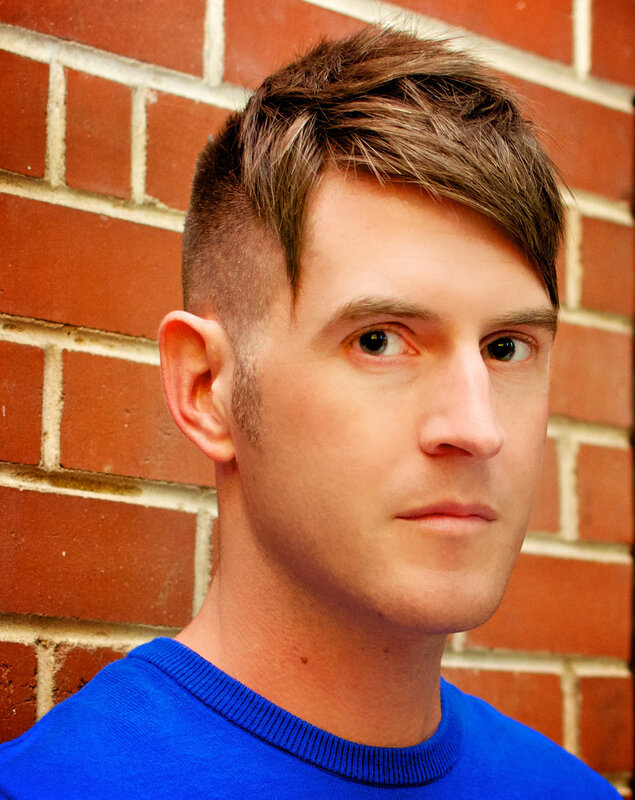 His play You and Me on a Boat and You're Smiling premiered at the 2016 Regina International Fringe Festival; it is an adaptation of his original short story which was long listed for the 2014 CBC Prize for Fiction. Travis is a director and screenwriter. He is an advocate for all things strange and unusual. He is a bourbon enthusiast. As a storyteller, Travis works towards finding the truth (or even some small part of it) and bringing audiences to new places through cinema. He makes films to explore the issues of the heart and raise questions about the issues of our time. Travis’ screenplay for The Tinwife won Best Short Screenplay at both the Cinequest Film & VR Festival and The Manhattan Short film festival. The screenplay also placed within the Top 10 in both the Screencraft Short Screenplay Competition and the PAGE International Screenwriting Awards. Travis’ first short film, The Tinwife, premiered at the Cinequest Film & VR Festival in March 2017 and has gone on to play in Amsterdam (Imagine Film Fest), Cape Cod (Woods Hole Film Fest), and Hollywood (HollyShorts Film Fest). 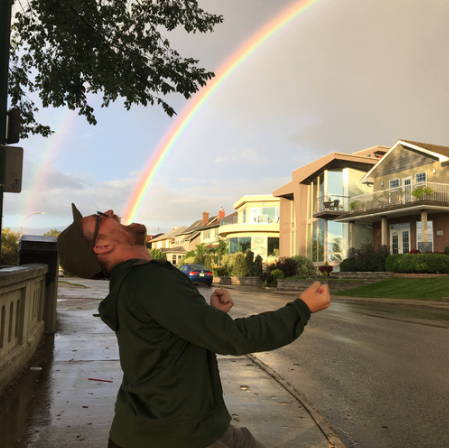 Devin McAdam is an independent filmmaker from Saskatoon, Saskatchewan. He studied film as an undergraduate at the University of Regina before leaving the program to pursue a scholarship to Vancouver Film School, from which he holds a Diploma in Film and Video Production. Since then he has continued to develop his craft in multiple areas, with an emphasis on Cinematography and Digital Intermediate. He has acted as Director of Photography, Editor, Colorist, Production Designer and Producer for various short films, and has also written, directed and produced an experimental short documentary for broadcast; multiple super 8mm short films; and the award-winning, mid-length narrative feature film "Encouragement". He also runs a non-profit Production Center where he instructs and facilitates other artists who work in the media arts. Zak Millman is a composer based in Los Angeles. Originally from New York, he pursued his undergraduate studies in composition at New York University. After NYU he attended grad school in the Scoring for Motion Pictures and Television program at the University of Southern California. As well as an active composition career scoring for films, video games and several advertisements, he has served as a music editor at Sony Playstation's Santa Monica Studios and got his first taste of Hollywood working for composer Joseph Trapanese during the scoring of Straight Outta Compton. Zak is an avid fan of a wide range of music - his interests range from film and classical music to musical theatre and heavy metal. When not composing, he's typically reading, at a concert, a museum, or Disneyland. Nicole is a film and theatre costume designer from Saskatoon, Saskatchewan. Her passion and love for designing and creating costumes can be seen in everything she does and speaks clearly through her work. She's research driven, always focused on the little details, and committed to finding the perfect look. Theatre Credits include: Excalibur! The Story of Young Arthur, 39 Steps (Newman Players), Persuasion (Newman Players), Arsenic and Old Lace (Newman Players). Aaron has been a part of the visual effects industry for over 4 years. He has worked on multiple award winning feature films such as “The Amazing Spider Man”, “Maleficent” and “Transformers”. Besides feature films, he has also headed compositing teams for animated television series like “Bob The Builder”. His most recent work is on “TMNT” and “The Tinwife”. Reilly Forbes is an audio engineer from Saskatoon Saskatchewan. Since 2011 he's helped filmmakers, musicians, and visual artists with sound design, editing, mixing, mastering, and moral support. Reilly hold's degrees in film production from the University of Regina and technical certification in audio engineering from OIART in London Ontario.